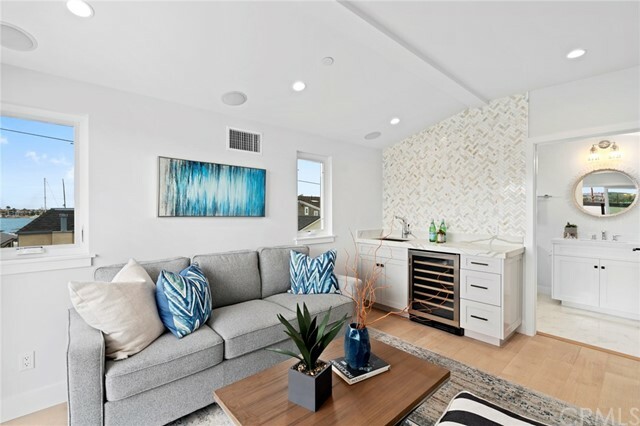 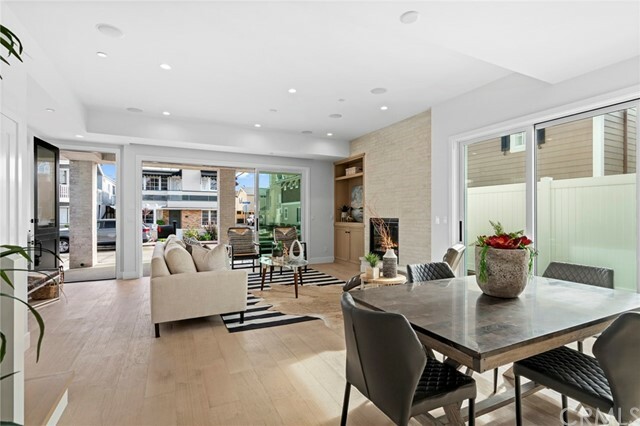 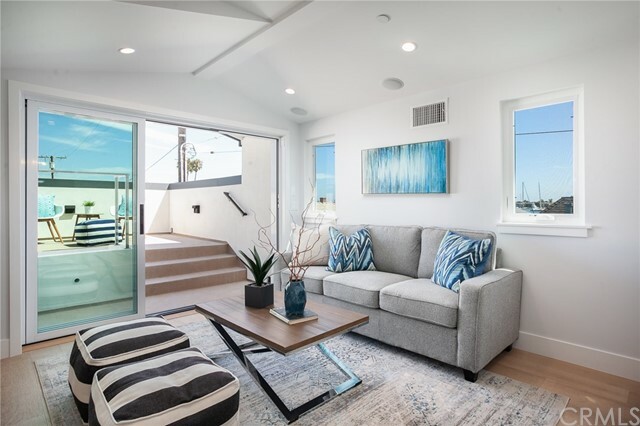 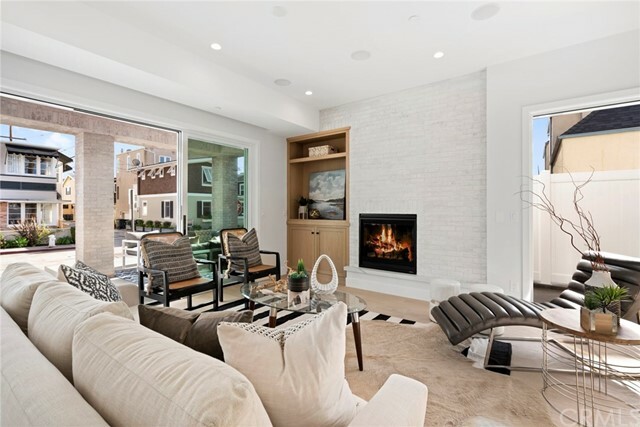 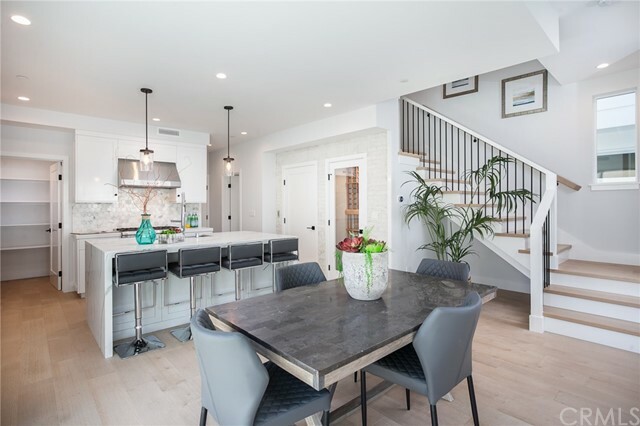 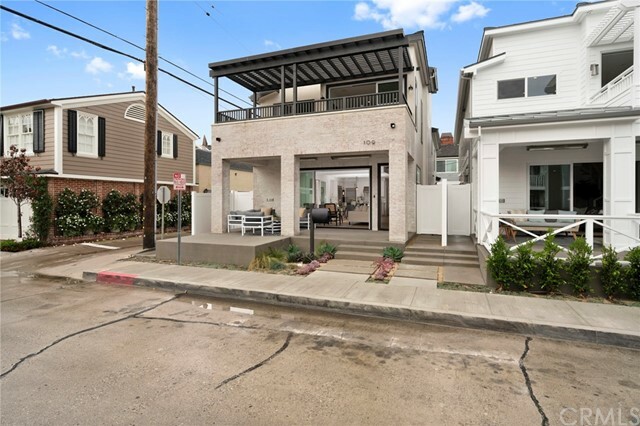 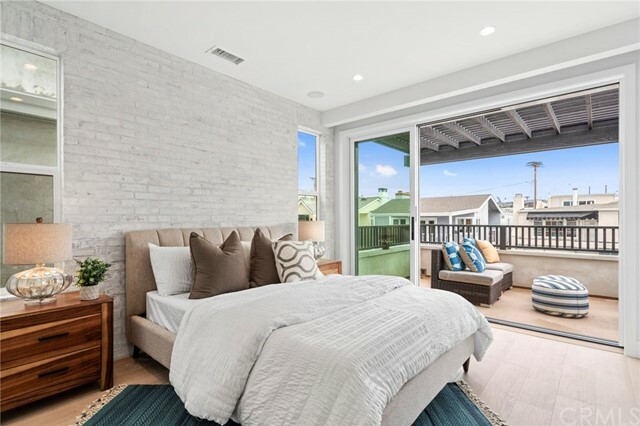 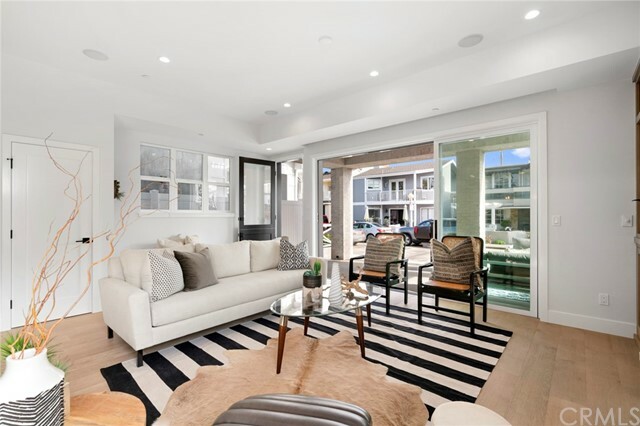 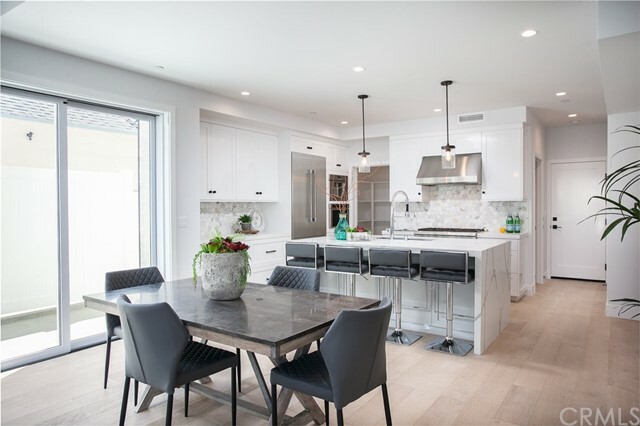 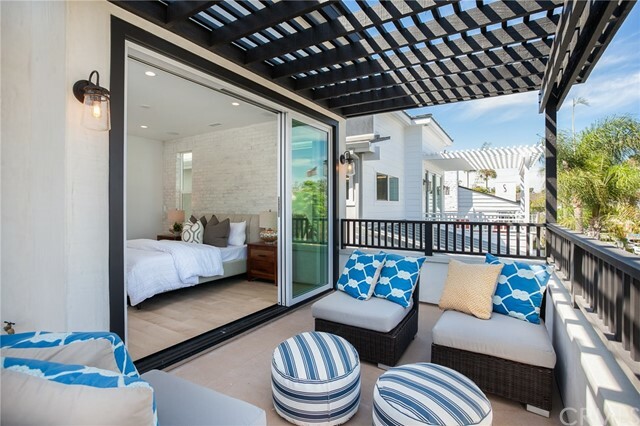 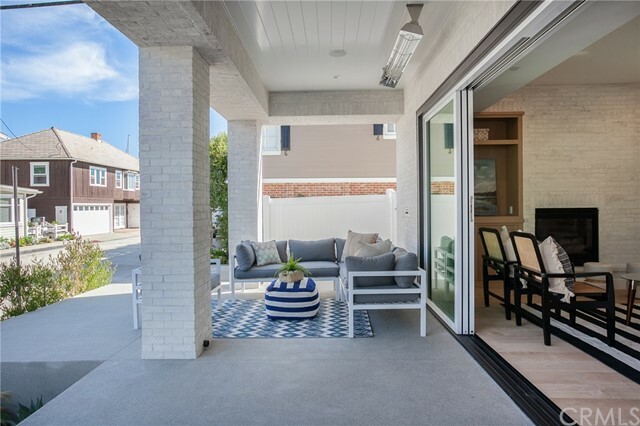 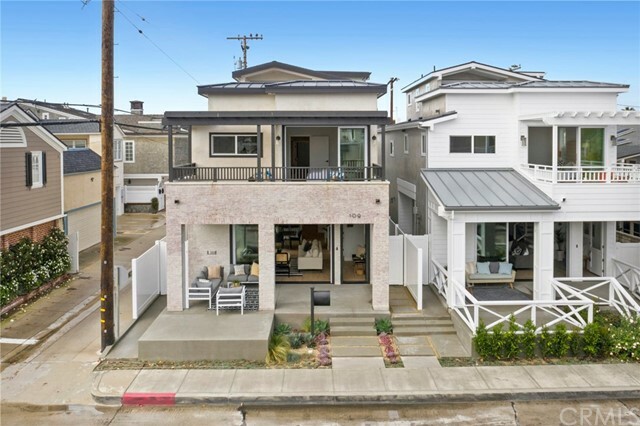 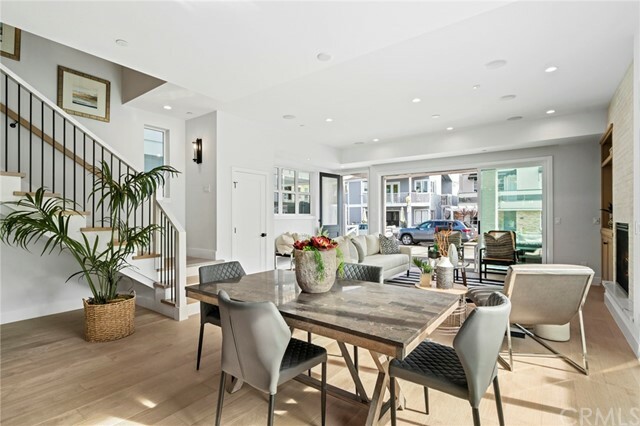 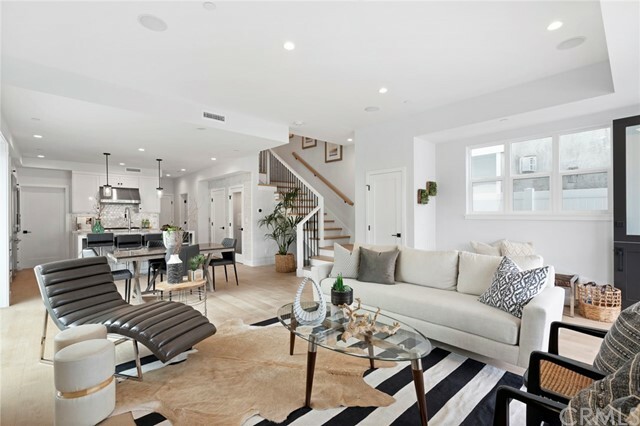 This new Balboa Island custom home is located one house off the South Bay Front in the highly coveted 100-block of Onyx Avenue. 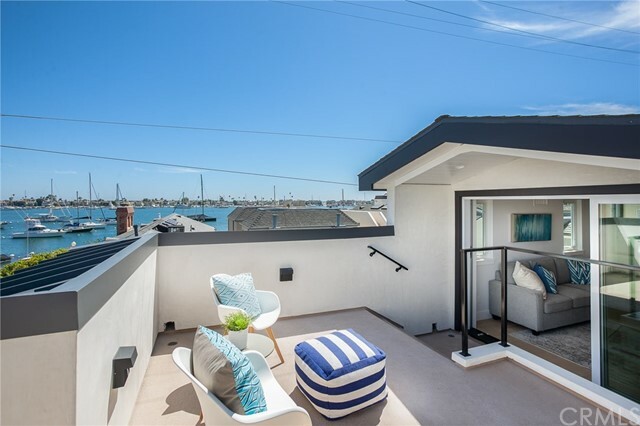 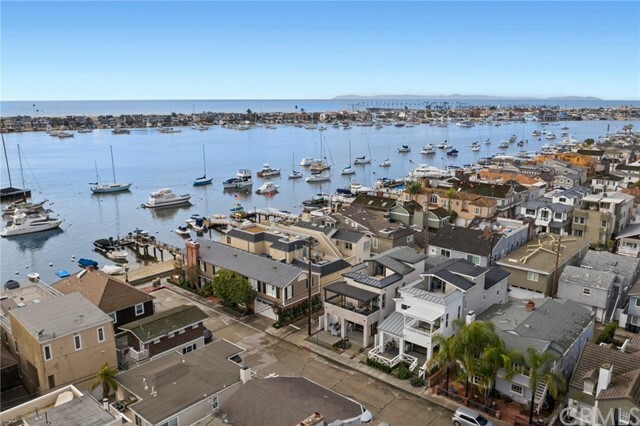 The location offers amazing harbor views and has opportune access to a spectacular South Bay Front beach. 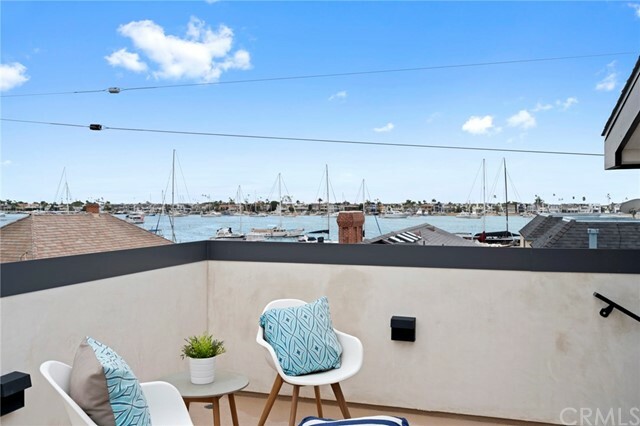 One street from Marine Avenue with its fine dining, boutiques and galleries, this convenient location is ideal to enjoy the amenities of the Island. 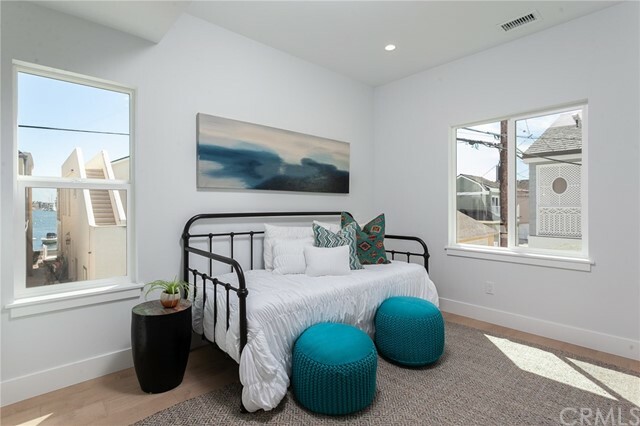 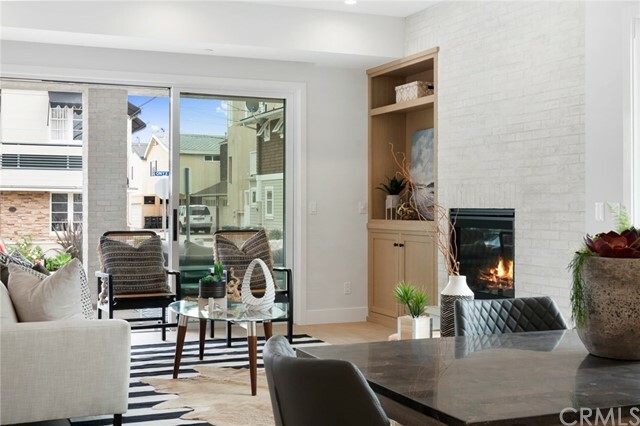 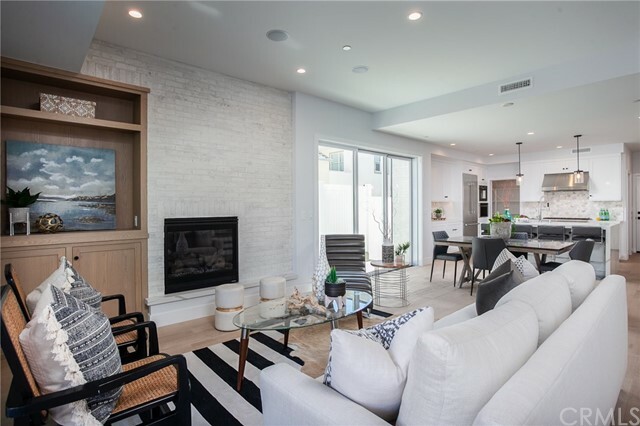 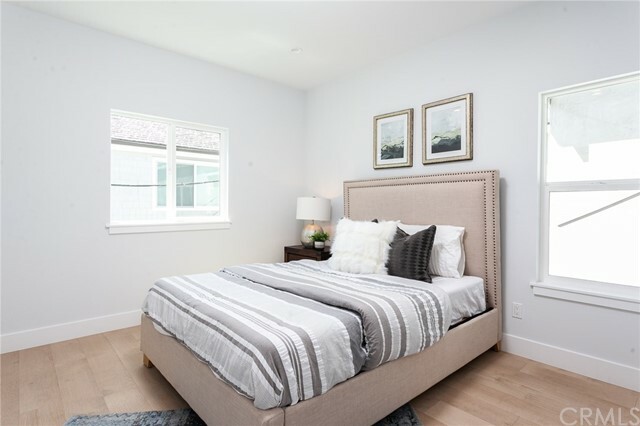 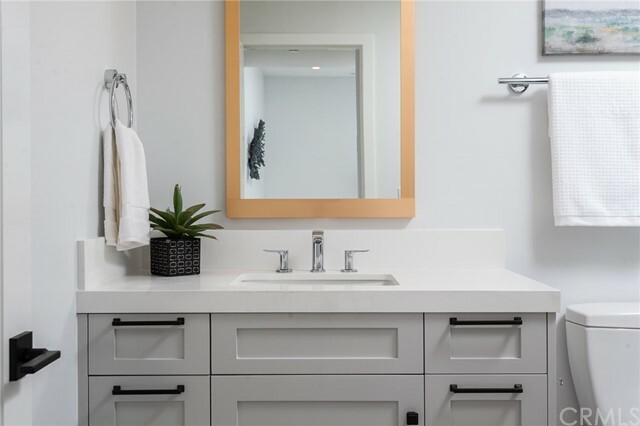 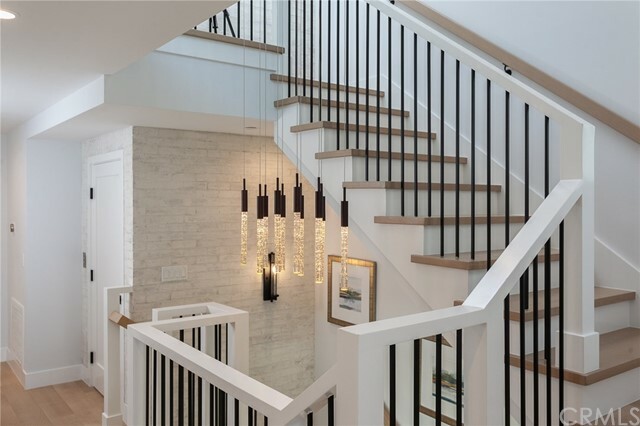 Casual contemporary in style, this new custom home has a fantastic floor plan and includes three en-suite bedrooms, and a third floor office /bedroom with its own bathroom which opens to a rooftop deck. 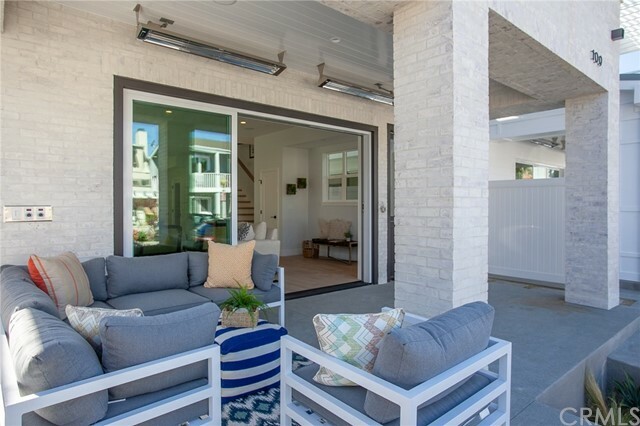 Central to the main floor living space is an open floor plan with a well-appointed kitchen and a great room that opens to an oversized front patio through stacking La Cantina doors. 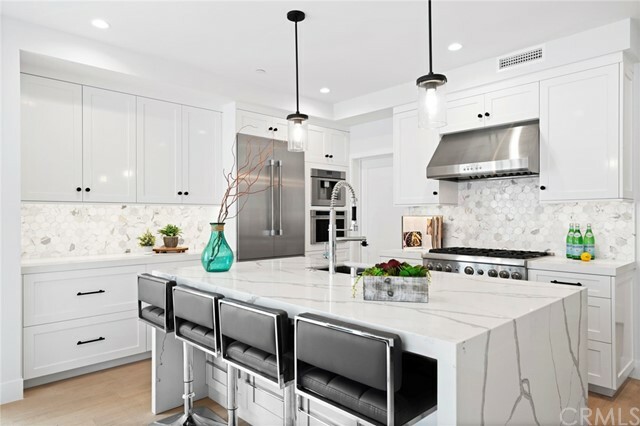 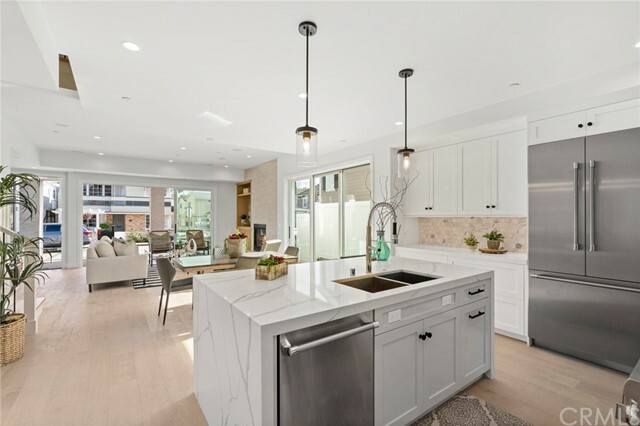 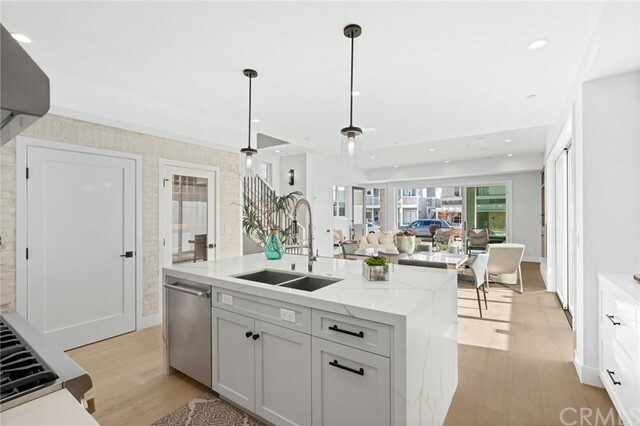 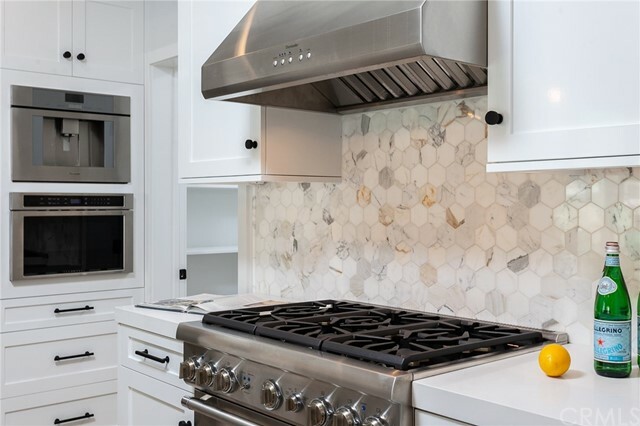 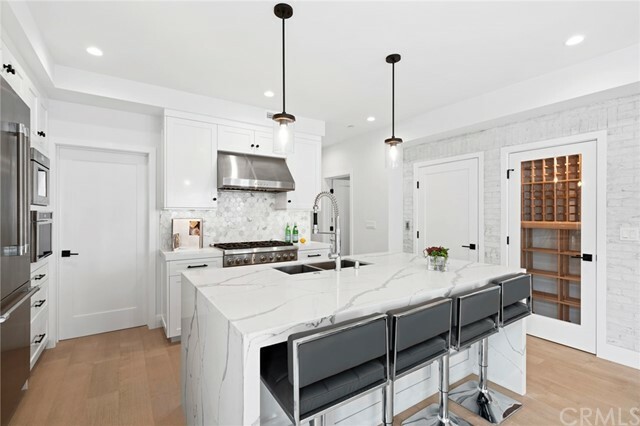 The kitchen includes a center island with seating for informal meals, Thermador professional stainless steel appliances and quartz counters and marble backsplash. 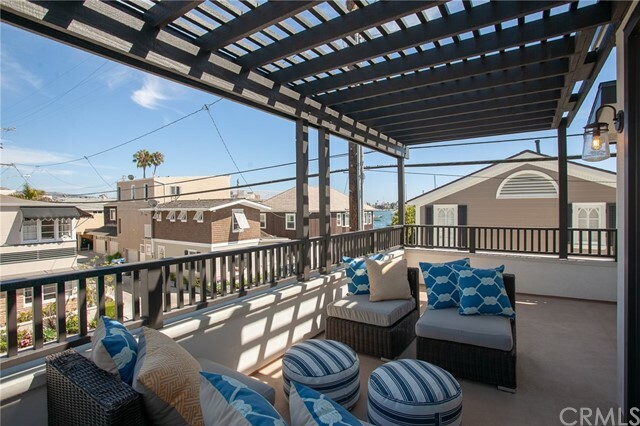 The patio provides the ideal location to barbecue, unwind and create lasting memories with family and friends while enjoying views of sailboats navigating the harbor. 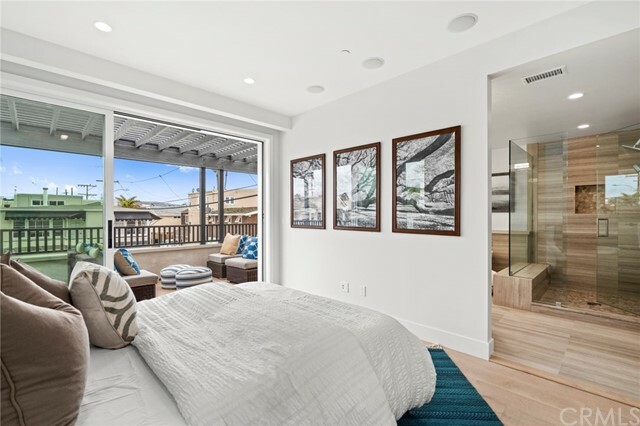 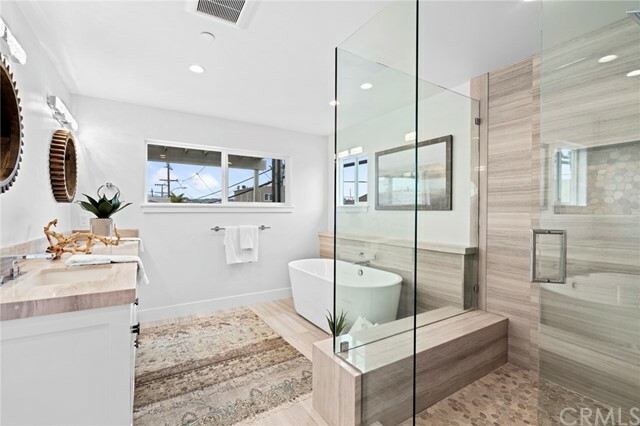 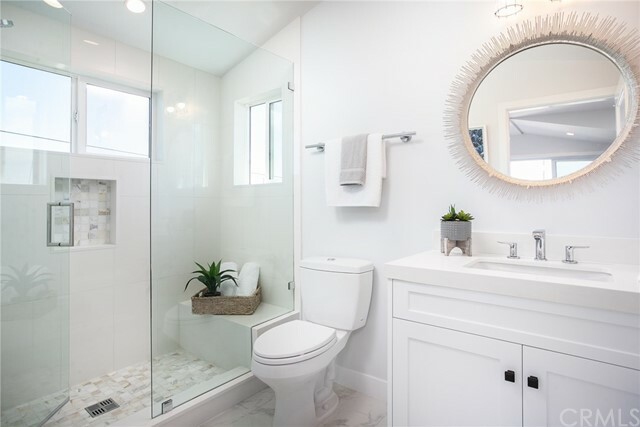 The second floor master suite has a stylish bathroom with separate bathtub and shower, a generous walk-in closet, and a large balcony with harbor views. 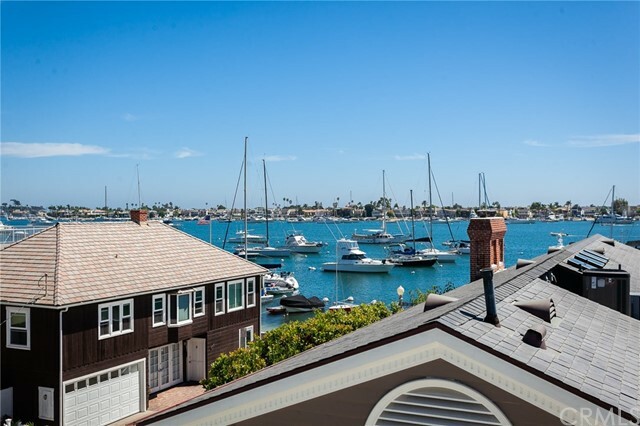 Newport Beach is a year round playground known for its world-class beaches, surfing, paddle boarding, sailing, shopping, dining, golf, biking trails and hiking.